If you ask someone in India, even inside a gym about nutritional supplements, majority of people will tell you that they are going to harm you, very harmful for health and may lead to this and that and this story will never end. If you ask them that who told you this, they will answer that my friend or my elder brother or my father or some unknown person, even some times they him self created those answers for their own satisfaction. Once I asked boy in gym that why don’t you use supplement? He answered same as above. Now let me tell you the actual reason why he was not ready to take supplement was money problem. Some times this happens that guys who can’t afford nutritional supplements or can’t purchase supplement because of family restriction make a new and innovative excuse for not using nutritional supplements. BEWARE OF THEM. The word “Nutritional supplements” refers to something additional to food, which helps to fulfill your daily nutritional requirement. Remember, supplement is not a replacement of food and even can’t be in the future as well. Supplement helps you to complete remaining nutrition after eating your daily food. Let us talk about growing kids, their bodies require more nutrition to fulfill their daily needs and when it comes to eating food and drinking milk, no kid likes it. Now from where that remaining nutrition will come and answer is Bornvita, horliks, boost etc. Now what is bornvita? Is it a miracle made by GOD. No, its simply a nutritional supplement. If you remember an advertisement of “Bournvita Little Champs” containing Whey protein for kids, that supplement is for 2 year old kids, so when they can take, why can’t you? Nutritional supplements- Is it compulsory to use? Well the answer is NO. Its not compulsory to use, it should be used when your daily nutritional requirement is not getting fulfilled. It’s easy to fulfill all possible nutritional requirements, except your daily protein requirement. If you eat less than the required daily protein intake, then your body is protein deficient and you need protein supplement. Let’s discuss a particular case in which a person having weight 60 kg requires 120 gm approx. protein daily, now the question arises how to fulfill this requirement? If you are non-vegetarian then you have many good choices like egg white, chicken, fish etc. But for understanding, let’s have an example based on eggs only. An egg white has 4 gm approx. protein in it (excluding the yolk). Now to fulfill this requirement you need to eat 30 EGG WHITES A DAY. For a beginner its near to impossible to have 30 egg whites even for experienced guys its too difficult for digestion. Now what to do? The answer is Protein supplement. If you calculate protein in the terms of supplement, YOU ONLY NEED less than 5 scoops and you will reach 120 gm protein. But my suggestion to you people is to eat protein from various types of sources. Now let’s talk about vegetarians, its very difficult to fulfill protein requirement for vegetarian people as there are very less sources from where you can get good quality and good quantity protein. So its better to fulfill some part of your requirement with protein supplement. In the same way, body can be deficient for any of macronutrients (Carbohydrates, protein, fats). Read more about them in this article regarding – “macro and micro nutrients”. Nutritional supplements – Are They Dangerous? The answer is NO*. Now this * means under some conditions. Let’s discuss those conditions. If the supplements are used as they are directed to use on their label will not harm you. They are not made to harm you, instead to improve your physical condition. There are various types of supplements, talking about all of them is out of scope of this article. 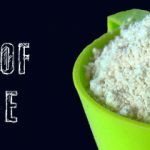 So we will discuss about the most popular and most commonly used “WHEY PROTEIN”. Whey protein is one of the best known protein sources available on earth With very high Biological value and protein efficiency ratio which makes it a perfect source of protein. And Guess what, its “VEGETARIAN”. Protein quantity – Should be at least >60%. Glutamine – If added, will give you additional benefits, help repair and recover muscle. Creatine – If added, Improve training performance *. WARNING – Be careful while using it as proper care is needed, take advice of any physician or any other capable professional. NO Boosters – Nitric oxide, Improve training performance, WARNING – Be careful while using it as proper care is needed, take advice of any physician or any other capable professional. Now a days Whey Protein supplements are coming with various combinations and its not possible to include all of them in this article. But if you want to be 100% safe, then go for 100% whey protein, with no fillers (doesn’t means 100 gm in 100 gm, it refers to purity). Near about all nutritional supplements are as safe as your food because their origin is our food. They are just processed to fulfill our daily requirement. Use them But with advice of any physician or any other capable health professional. Be muscular, believe me its great to be like that.